For an arbitrary generalized quantum integrable spin chain we introduce a “master T -operator” which represents a generating function for commuting quantum transfer matrices constructed by means of the fusion procedure in the auxiliary space. We show that the functional relations for the transfer matrices are equivalent to an infinite set of model-independent bilinear equations of the Hirota form for the master T -operator, which allows one to identify it with τ -function of an integrable hierarchy of classical soliton equations. In this paper we consider spin chains with rational GL(N)-invariant R-matrices but the result is independent of a particular functional form of the transfer matrices and directly applies to quantum integrable models with more general (trigonometric and elliptic) R-matrices and to supersymmetric spin chains. A. Zabrodin, Bäcklund transformations for difference Hirota equation and supersymmetric Bethe ansatz, Teor. Mat. Fyz. 155 (2008) 74 [Theor. Math. Phys. 155 (2008) 567 (English translation)] [arXiv:0705.4006] [INSPIRE]. T. Takebe, A note on the modified KP hierarchy and its (yet another) dispersionless limit, nlin/0111012. J. Harnad and A. Y. .Orlov, Scalar products of symmetric functions and matrix integrals, Theor. Math. Phys. 137 (2003) 1676 [Teor. Mat. Fiz. 137 (2003) 375] [nlin/0211051]. V. Enolski and J. Harnad, Schur function expansions of KP tau functions associated to algebraic curves, Russ. Math. Surveys 6 (2011), no. 4 [arXiv:1012.3152] [INSPIRE]. A.N. Sergeev and A.P. Veselov, Jacobi-Trudy formula for generalised Schur polynomials, arXiv:0905.2557. E. Frenkel and N. Reshetikhin, The q-characters of representations of quantum affine algebras and deformations of W-algebras, math/9810055. 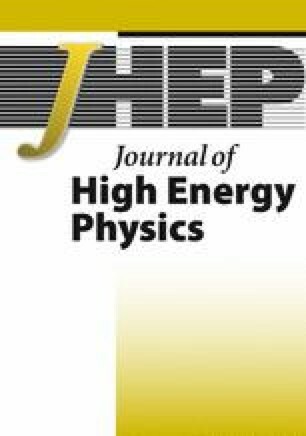 H. Boos, M. Jimbo, T. Miwa, F. Smirnov and Y. Takeyama, Fermionic basis for space of operators in the XXZ model, hep-th/0702086 [INSPIRE]. K. Takasaki, KP and Toda tau functions in Bethe ansatz, in proceedings of Infinite Analysis 09 — New trends in quantum integrable systems, Kyoto University, Japan, 27-31 July 2009 B. Feigin, M. Jimbo and M. Okado eds., World Scientific (2011). arXiv:1003.3071 [INSPIRE].